If you have ever tried to get a seat in edgewise at our latest Clark Street rockstar, it looks like things just got a whole lot better. Little Bad Wolf is expanding outside folks. From the looks of it, the outdoor space might double the seating capacity of the place. Add in the outdoor patio over at Pork Shoppe and it is shaping up to be an awesome summer of Sunday Fundays in our neck of the Andersonville woods. UPDATE: This just in from the neighbors…. 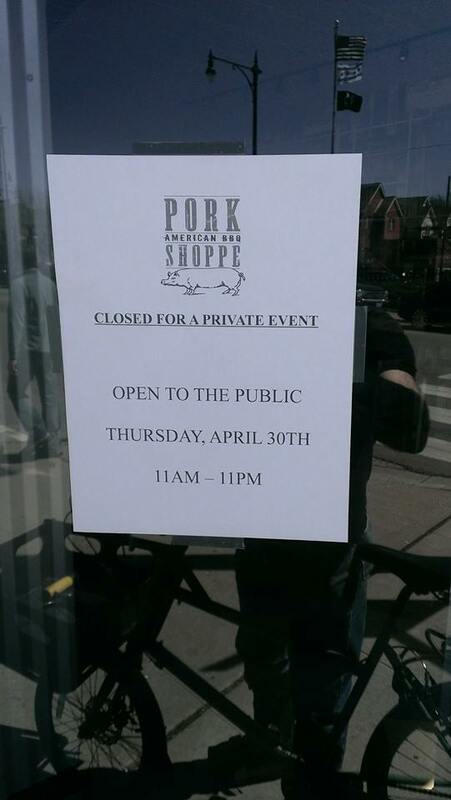 Way too much North Andersonville outdoor patio drama to handle all at once, Pork Shoppe opening April 30th!